A judge in Jefferson City has entered a not-guilty plea on behalf of a 15-year-old-girl charged as an adult in the death of 9-year-old Elizabeth Olten because she did not have a lawyer present. Alyssa Bustamante is accused of strangling and stabbing Olten to death before burying her in the woods of rural Cole County. Earlier today, Bustamante was certified to be tried as an adult in Olten’s murder case. Bustamante was indicted for first-degree murder and armed criminal action since she allegedly used a knife in the attack. 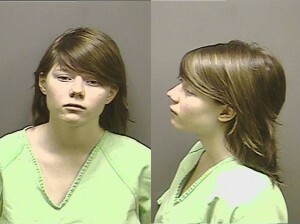 She could face life in prison without parole.